Experience the healing power of a massage! The best foundation you can wear is glowing, healthy skin. Manicures & Pedicures by licensed techs. 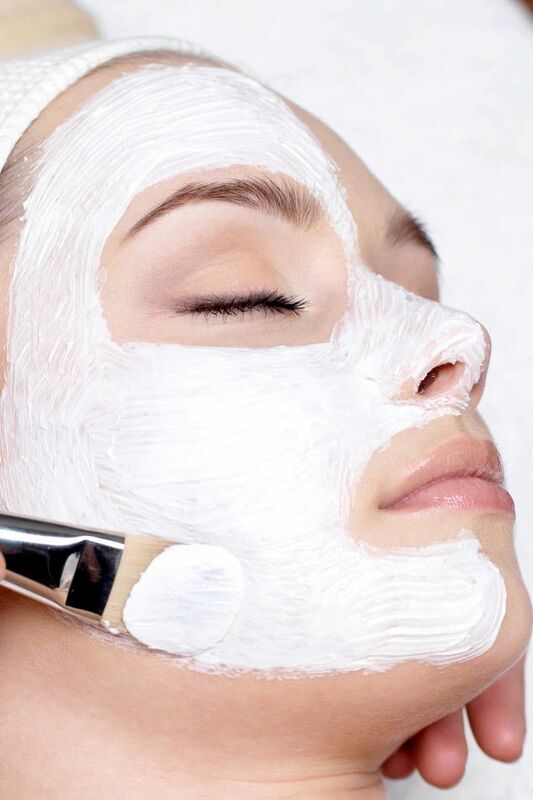 We are a full service Spa, specializing in massage, facials, pedicures and hair services. We treat our customers like royalty. We will gladly specialize your visit if you want multiple services. 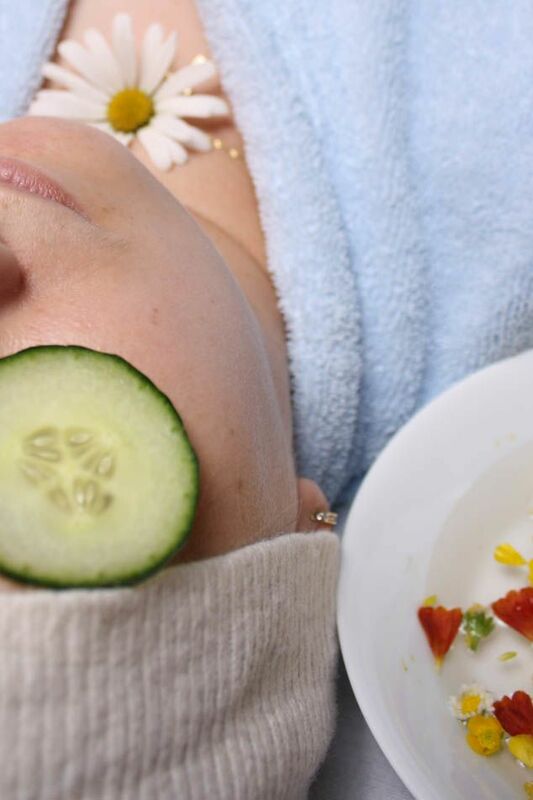 Are you a visitor and just needing pampering while your in town? We LOVE tourists and so glad your in Branson. Our team has over 20 years worth of experience. 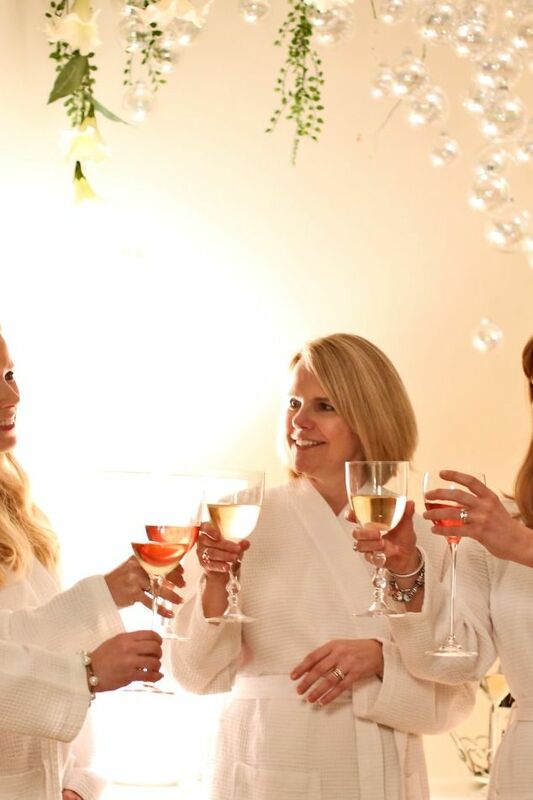 We would be happy to make your experience at Pure Tranquility Spa and excellent one! 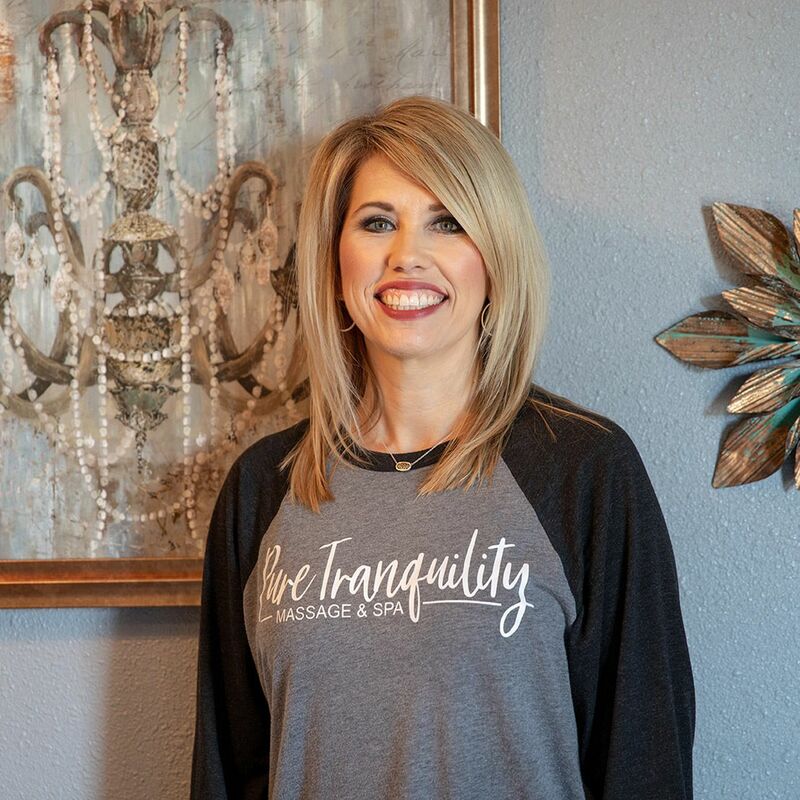 Depending on the individual needs of each client, Stacy incorporates several techniques into each session , using her expertise to help you leave feeling rejuvenated and relieved of tension​! 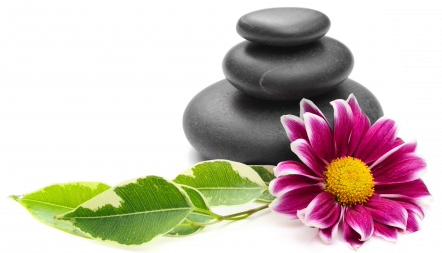 "It is my pleasure to be part of the amazing team at Pure Tranquility Massage & Spa. I graduated at the top of my class at Kaskaskia College in Centralia, IL. in May of 2015. After graduating massage school I went on to further my education and graduated from the same college with a degree in physical therapy.I chose massage therapy as my profession because I genuinely enjoy helping people. Whether you are seeking therapeutic relief from pain, or you simply need to relax, I look forward to serving your massage therapy needs. 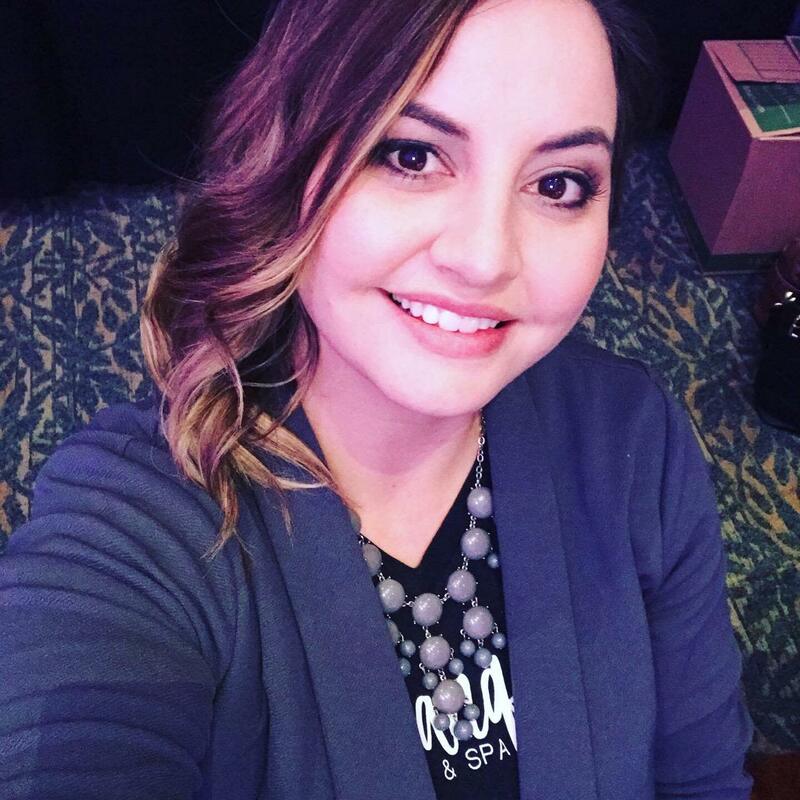 Ashlea Gerleman has been a successful Esthetician in Branson for almost a decade now. She received her license in the Spring of 2011 after passing MO State Board exams. Since that time she has worked in upscale day spas, including her own successful day spa from 2012-2017. 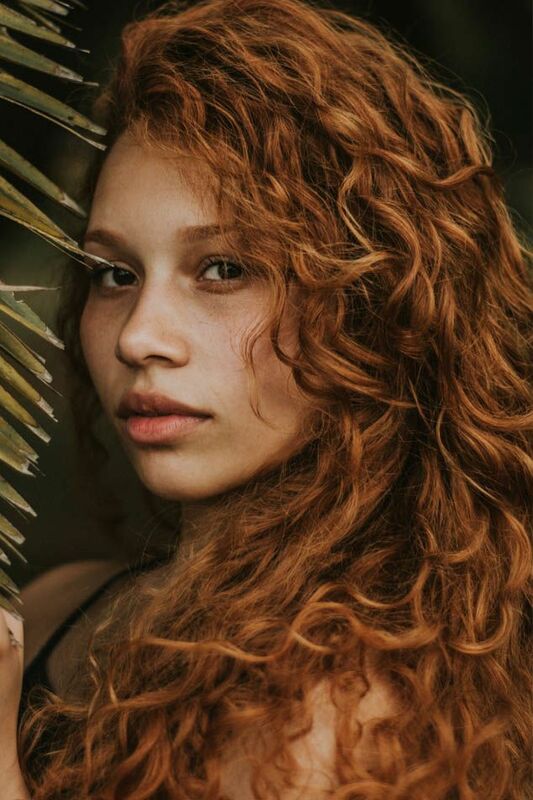 During that time she gained a lot of experience and discovered that not only is skincare her specialty, but full body waxing is as well. She has enjoyed learning about the business of aesthetics, beauty, health and wellness. 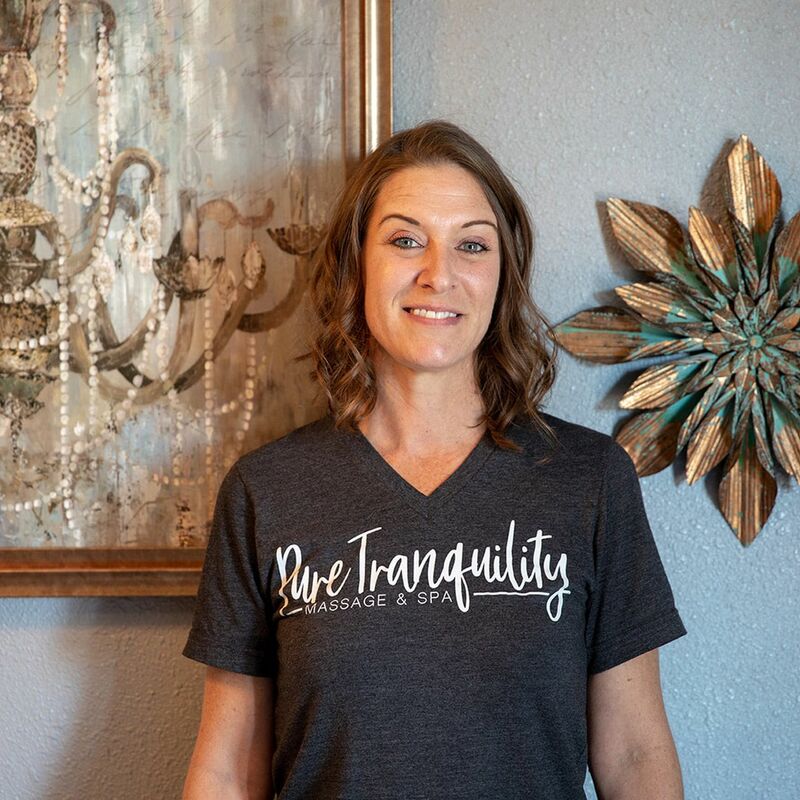 Ashlea has taken advanced courses in order to provide the best spa experience for her clients and her goal is to always keep up with the latest treatments in the industry. She is looking forward to meeting new clients as well as seeing some familiar faces! 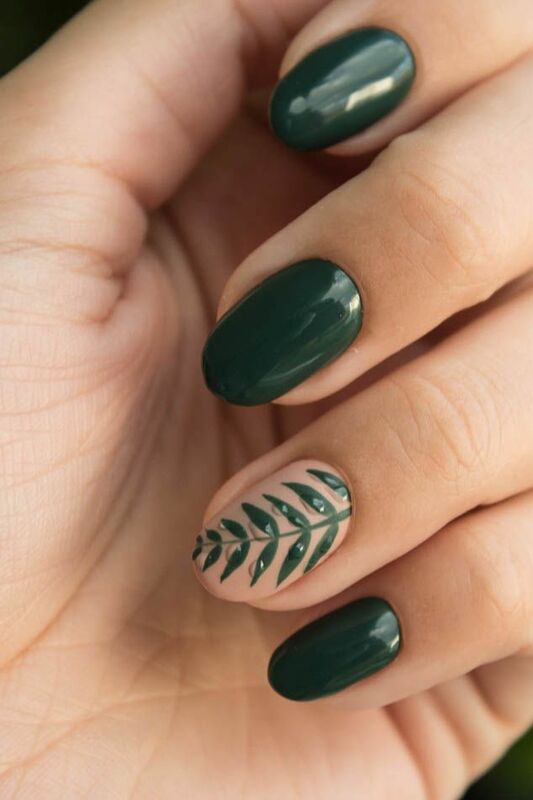 Dawn is a very creative nail artist with 12 years experience. 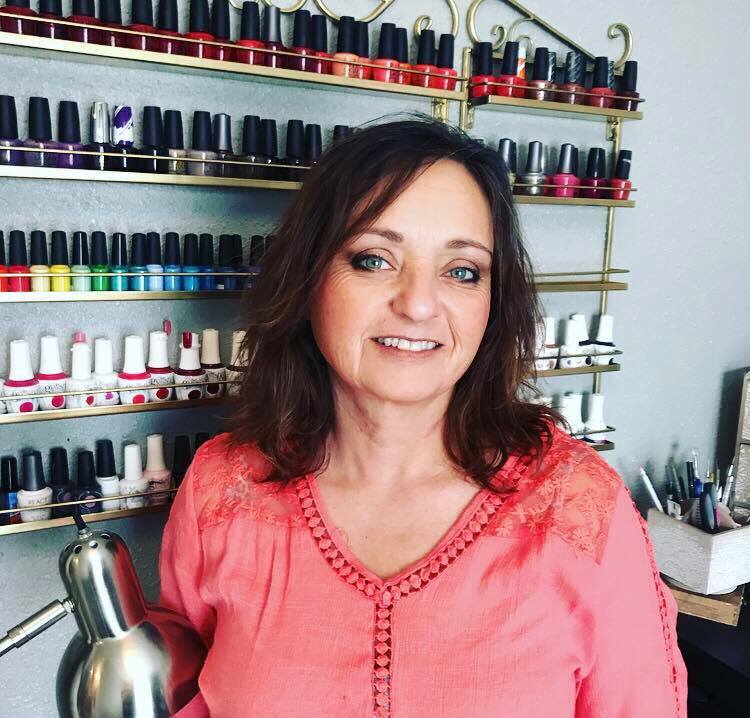 She is passionate about the services she provides while educating clients in how to take care of their nails. Sanitation and quality are her main priorities when it comes to her job. She will make sure you have a relaxing experience. 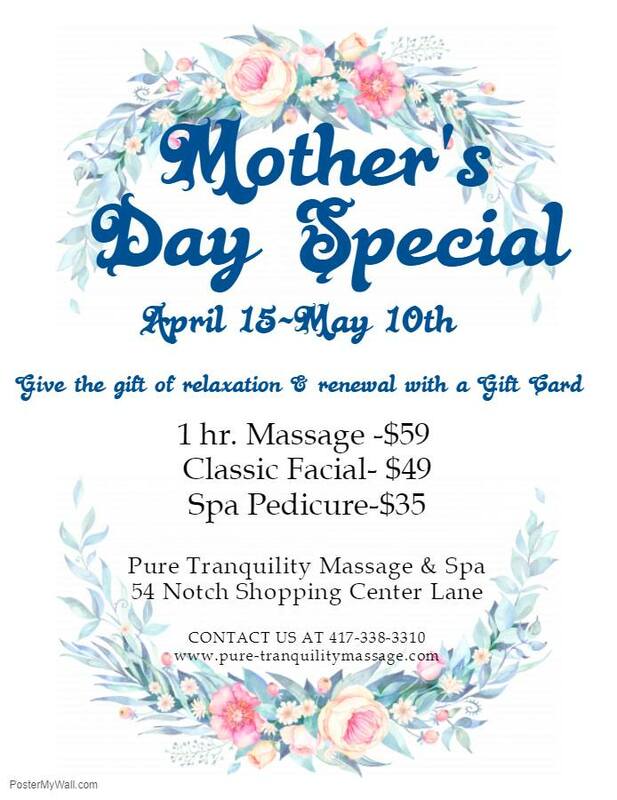 Click here to reserve your next appointment with Pure Tranquility Massage & Spa online today! We have expanded. 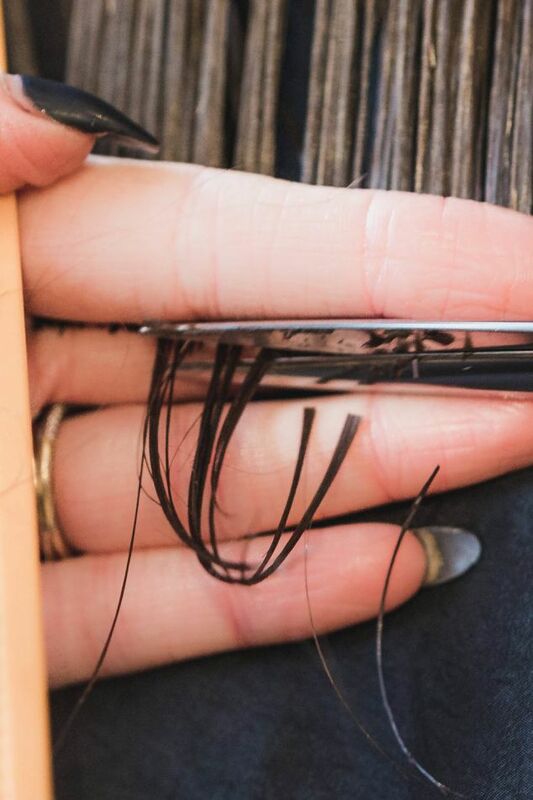 We are now offering manicures, pedicures, and hair. "I had the most wonderful massage this afternoon by Stacy! Every issue that I have been dealing with, she worked on for me and did such a great job! Highly recommend her!" "I have been going thru a series of a dozen chiropractic sessions until I came to the lake with no results from the pain in my shoulder and arm. After two sessions with Stacey the pain is 90 percent gone she is a miracle worker." "I needed a massage and was trying to make one last minute. Gwen did such an amazing job. I felt so relaxed afterwards! I am not an easy person to give massages to because I am ticklish and usually deep tissues is very painful for me. She was able to achieve the perfect amount of pressure to get past all of it! I would highly recommend!!" 54 Notch Shopping Center Lane, Unit "B"